Send me a word or tell me a story, and I will craft you a one-of-a-kind-poem on my vintage typewriter. The gift of an original, written-for-you poem is something special they can’t get just anywhere. It’s perfect for that special someone, that quirky friend or family member, or that hard-to-buy-for person in your life. 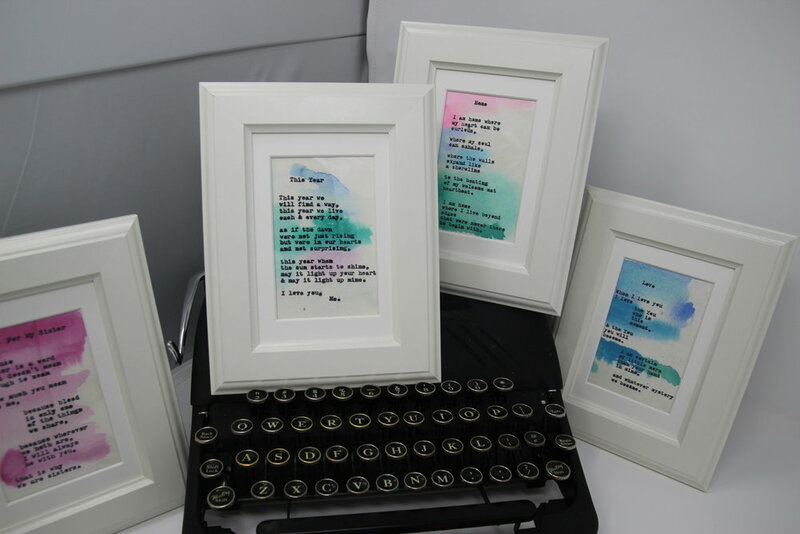 Typewriter poetry is a magical gift for anyone in your life! During checkout, I’ll ask a few questions about your topic, who the poem is for, and any other details for inspiration. If you have any questions, email me directly at scottjames.writer@gmail.com. Remember, orders in by December 18 and you’ll have the poem in time for Christmas! “[Scott”s] instant typewriter poetry was a huge hit and engaged many of our community members in thoughtful conversation, connection and creativity.